The Cabaña Guest House offers a spacious common room for guests to use. There is a bar, where a light continental breakfast is served each morning. Each guest will receive a key for the main door, allowing them to come and go at any time. 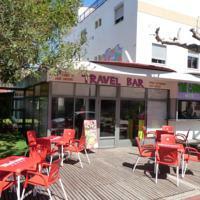 Salou’s lively centre is within a short walk, and buses to Port Aventura stop just outside the door. The Cabaña’s staff are happy to give information about the region. There is free public parking nearby. 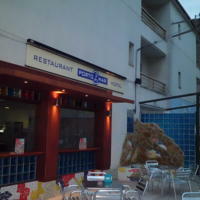 The Portomar’s restaurant serves homemade meals and has an outdoor terrace. A wide range of restaurants and lively bars can be found in the surrounding streets. Each room has a sink and wardrobe. Some rooms also have a private furnished terrace. Port Aventura Theme Park is within a 10-minute drive of the property and tickets are available to buy at reception. 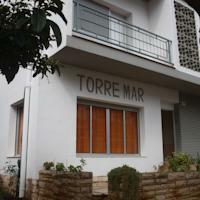 Torre Mar features an on-site bar and a shared lounge area. You can find grocery shops and restaurants 200 metres away. Reus Airport is 10 km from the guest house. he Hostal Tahiti has a snack bar and a summer terrace where guests can relax. There is a shared lounge area with air conditioning and a flat-screen TV, and a living room with a kitchen area including microwave and kettle. There is a free Wi-Fi zone at reception and in the lounge. The property also offers a children's play area. Guests can find many shops, bars and restaurants within a 5-minute walk. Reus Airport is approximately 6 km away from the guest house, while PortAventura Theme Park is just 1 km away. Thus, on the one hand, it presents itself as a holiday destination and reference point, concentrating the majority of the basic tourism industry infrastructure in the Tarragona regions (74 lodging facilities) and acting as a main motor with regard to developing and capitalising on the diversity of the area's entertainment and cultural offer. On the other, it is also home to the main agent for regional dynamism, the Costa Daurada's attraction par excellence: the Universal Mediteranean complex, which consolidates the Salou product and its sphere of influence as the most important leisure centre on the Catalonian seaboard and in the Mediterranean arc in general. Mild year-round temperatures; safe, orderly and shallow beaches offering all services and equipment; hidden coves of great natural and scenic interest; an urban design plan that gives centre stage to green spaces, plants, design and the architecture of the landscape; points of historical, architectural and monumental interest; a varied entertainment and leisure offer with highly dynamic sectors (shops and restaurants); and quality facilities have all helped to turn Salou into the Capital of the Costa Daurada and to earn it the top rating for Family Tourist Destinations in Catalonia. In addition to the large variety of services and alternative activities available at the beaches, there are initiatives and acts for even the most diverse trends, habits and demands of today's tourism: the opening of the Yacht Club, the future construction of a coastal route following the coves of Cape Salou, the environmental recovery of the coasts, and the execution of projects within the Plan for Tourism Excellence, which aims to turn Salou into a singular model for family tourism. 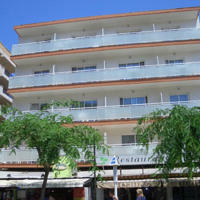 Furthermore, Salou has also transformed itself into an important residential destination. As a result of the city's urban planning project to provide services and equipment, modernise its infrastructures and rezone the territory in order to achieve its re-equilibrium, plans have been implemented and carried out that have opened up the first-residence housing market. This fact, along with the city's high standard of living, has played a key role in its spectacular demographic growth, as well as in convincing families from neighbouring towns and abroad (a high percentage of the inhabitants are from other EC countries), attracted by Salou's conditions, possibilities and potential, to choose the city as their place of residence. In short, Salou has projected itself as a city that cares about its services and is attentive to its community's needs, offering ideal space both to live in and for social and professional development. Cape Verde popularity to soar Cape Verde Islands http://www.daydreamvillas.co.uk/cape-verde/cape-verde-islands.htm & Come find tropical gardens.